A father and 8 year old daughter team of sand-sculptors, embark on a crazy adventure, exploring the transient nature of art and life, from Bondi Beach to the Adelaide Fringe and on to the Auckland Festival, finding love and discovering the magic in life. 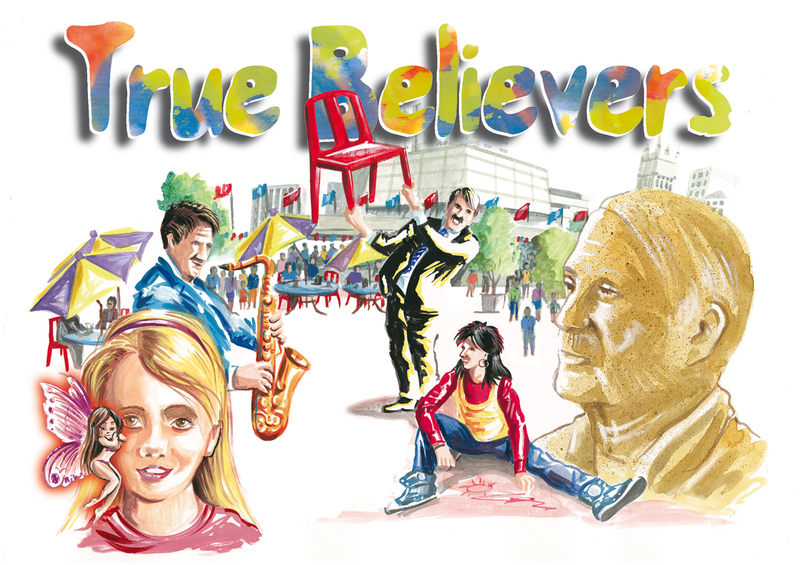 Artmedia is developing a feature film, True Believers, based on the novel, 'Believers in Love' by Alan Clay. Check out the story synopsis. The film is being mounted as a New Zealand/Australia co-production and the script is at third draft stage. Linda Seger, the renowned American author of 'Making a Good Script Great', is working as script consultant on the film. Specialist sand artist Jino van Bruinessen will work on the production. The photos on the reviews and story synopsis pages are of Jino's work. Tony Cronin from Adelaide will do Production Design and New Zealander Stewart Fulljames will be Art Director. Sydney-based Garfield Darlington, who shot Butterfly Crush, will be Director of Photography. We are currently casting the movie. Find more information on the casting on our auditions page. 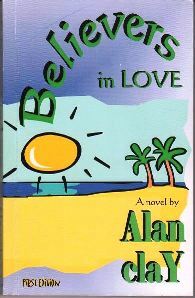 'Believers in Love' received good reviews in America and Canada, where Alan was invited to tour literary festivals in 2003. On this site you can find information on the auditions for the roles in this movie and check out reviews of the book 'Believers in Love', on which the film is based. You can also check out our first feature film Butterfly Crush, including the production credits and photos, read an outline of Butterfly Crush, watch the podcasts or the trailer for the film.